Show your PRIDE on your RIDE! 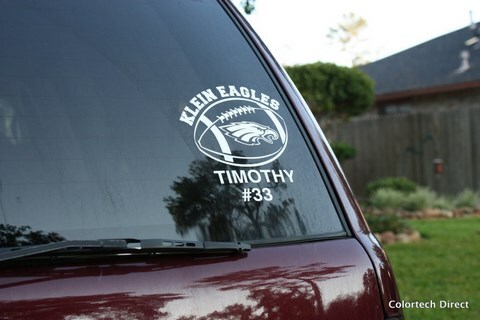 Spirit Decals can be a fun way to support your child, team, school, or organization in your community. 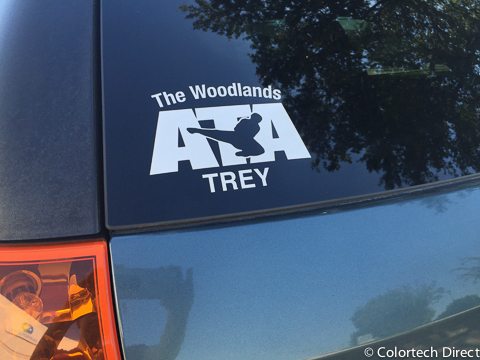 These eye-catching and easy to install decals can be used as a fundraiser with a custom matching order form. 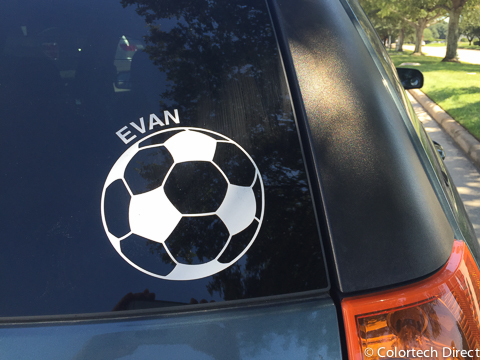 We have a wide variety of artwork available and each decal design is customized just for you! White vinyl spirit decal with name. 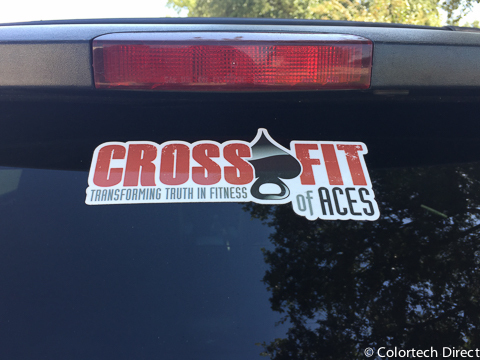 Custom color and shape decal. Can be applied to window, vehicle or many other surfaces.